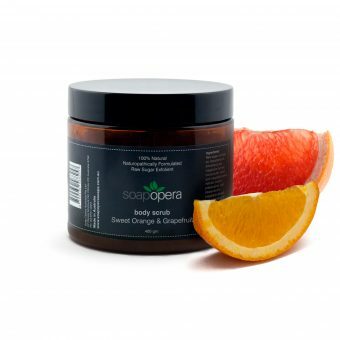 A concentrated blend of nourishing plant and nut extracts increases hydration of your skin naturally. No chemical or synthetic additives are used which can cause skin dryness. 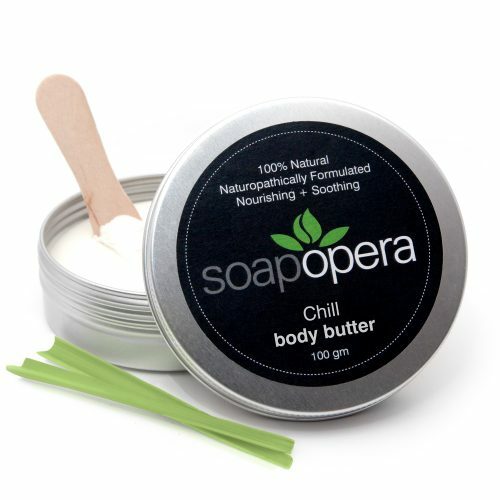 Our Chill body butter is scented with 100% pure essential oils and absorbs into your skin without leaving residue. 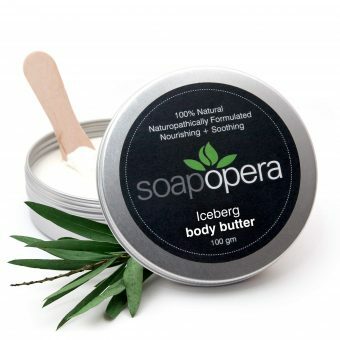 The pure essential oils used are Lavender, Lemongrass and Juniperberry. These oils may help promote a state of calm. The clean and crisp scent of Juniper is often used in aromatherapy to help stimulate and lift the spirits. 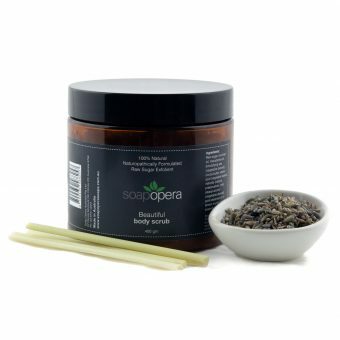 Effective in cleansing oily skin and reducing blemishes, as well as reducing blocked pores. 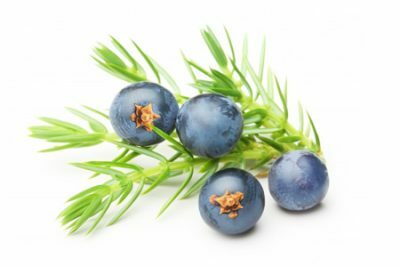 Juniper is a fantastic disinfectant and can increase circulation through kidneys which may help with kidney stones, inflammation and UTIs. 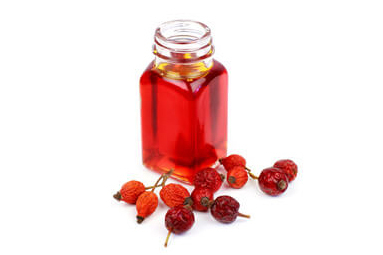 Find more of our products with Pure Essential Oil of Juniperberry. 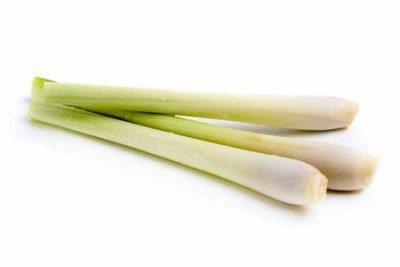 A mild, sweet and clean citrus scent, Lemongrass has many health benefits. 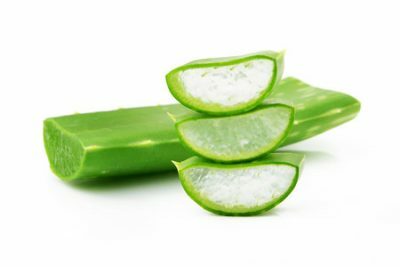 Known to help relieve minor pain such as toothaches and sore muscles as well as easing cold and flu type symptoms. 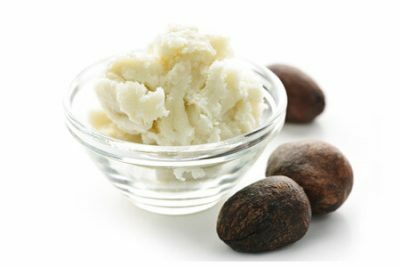 It’s antiseptic properties also make it extremely useful in treating minor external wounds, such as stings and abrasions. 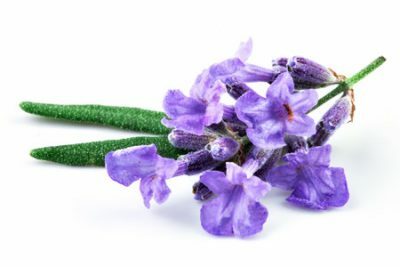 The refreshing scent is a fantastic mood booster, lifting mental strength, focus and concentration, as well as relieving stress. Find more of our products with Pure Essential Oil of Lemongrass.